Temporary employment, contract work, and contingent employment are quickly becoming the new norm for many employees. For example, a recent Intuit report, estimates that 80% of organizations will “substantially increase” their use of temporary employees by the year 2020. Then there’s the on-demand economy (ex: Lyft, Task Rabbit, Uber) which has created a flexible employment option for many employees but has also left those in the “gig economy” unprotected with little control over the terms of their labor. “This on-demand, or so-called gig, economy is creating exciting economies and unleashing innovation. But it is also raising hard questions about workplace protections and what a good job will look like in the future,” said Hilary Clinton in her recent economic agenda speech. This sense of uncertainty about future economic prospects has left many feeling insecure. 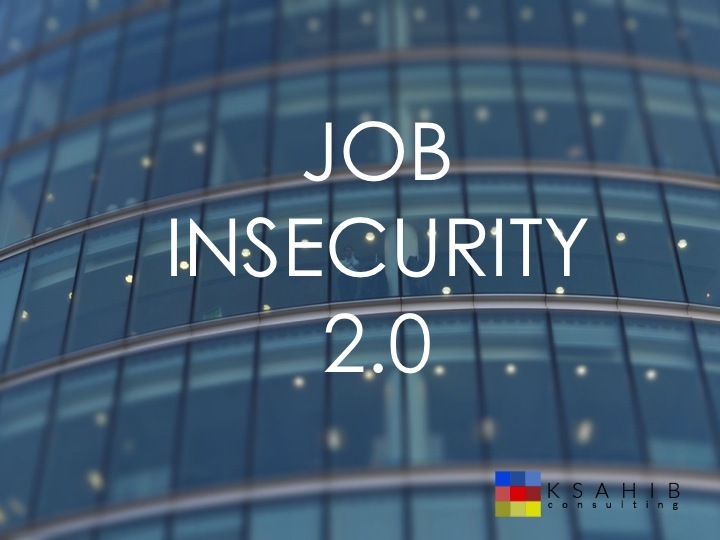 Specifically, the literature has outlined two types of job insecurity: objective insecurity and subjective (or perceived) job insecurity. Objective insecurity can be defined as actual job loss, whereas subjective insecurity is perceived fear or worry about the job’s future. Interestingly, researchers have discovered that perceived or subjective insecurity is linked to negative effects on psychological and physical well-being to a greater degree than objective job insecurity. Hence, the threat of losing a job is potentially more harmful than actual job loss. Moreover, this sense of insecurity has been found to be related to a host of negative consequences on employees’ health and well-being. Researchers have shown that when employees perceive a threat to their work future they will exhibit symptoms of distress such as anxiety, depression and physical ailments.